The San Bernardino terror attack has focused new attention on the female partners of radical Islamists. Beyond the mainstream media’s conscious efforts to victimize these jihadist murderers by potentially blaming their victims for provoking them, it is important to examine the psychology and pathology that binds the women and the jihadi men with whom they collaborate. Syed Rizwan Farook was named early on by police as a possible suspect. The shock came when his fellow jihadist was revealed to be his wife, Tashfeen Malik, who may have helped radicalize him. Malik is among a growing list of women who seek spouses like Farook as a consequence of their own broken backgrounds. Description: Lewthawaite is the white, British widow of the London 7/7 bomber Jermaine Lindsay. She is also allegedly the terror mastermind behind the the murder of 400 people, including the slaughter of 148 people at a university in northern Kenya. Description: Jones is a former British female punk rocker who became the wife and widower of British-Pakistani hacker and ISIS recruit Junaid Hussain (Abu Hussain al-Britani), 21. He was killed in a targeted U.S. drone strike along with two of his bodyguards in a Raqqa, Syria petrol station on August 24, 2015. Update: Jones recently vowed to carry out a suicide bombing after the Islamic State told her she needs to remarry. Description: ISIS leader Abu Bakr al-Baghdadi’s ex-wife. The couple divorced over six years ago. She was recently released in a prisoner swap with al-Qaeda’s Syrian wing in the Lebanese border town of Arsal, where she and 12 other Islamists were exchanged for 16 captured soldiers from the Al-Qaeda affiliated Nusra Front. Al-Dulaimi reportedly plans to move to Turkey. Description: Malik and her husband Syed Farook, 28, went on a shooting massacre on Wednesday in San Bernardino killing 14 people and injuring 21. It has been revealed by several media outlets that Farook, who was born in Pakistan, allegedly pledged allegiance to Islamic State “caliph” Abu Bakr al-Baghdadi during the attacks. New information has emerged suggesting Malik and Farook had ties to al Qaeda and the Islamic State. A newly-revealed money trail could provide essential clues to the alleged connection between the two young, radicalized lovers and the terrorist organization. Malik was from Pakistan and had spent a significant amount of time in Saudi Arabia. She was in American on a K-1 (fiancée) visa. 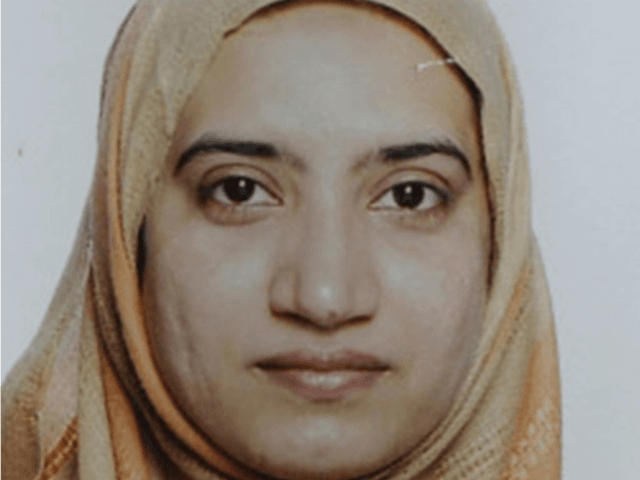 World-renowned relationship coach and cognitive behavioral therapist Dr. Pat Allen spoke with Breitbart News about the San Bernardino shooting, and summed up the common link between Malik and the other women listed above. Allen said these women seek any “father-figure system” that resembles their own upbringing.” That includes “men, governments or religions” that mirror what they’ve experienced in their family or home environment. She and her father reconciled last year after he had picked her up from an airport in France on her return from pilgrimage in Mecca, Saudi Arabia. Hayat had reportedly turned to Islam because it “calmed” her after enduring a difficult childhood. After the San Bernardino massacre, some on the left attempted to blame the terrorist shooting on postpartum depression. CNN’s Erin Burnett suggested it was postpartum psychosis that could have prompted Malik to carry out the killing spree and abandon her child. However, scientific and statistical evidence suggests that women with postpartum depression do not target others. Rather, they will either harm themselves or their offspring.